The first thing to notice is they are sitting, not standing, not walking, not running – sitting. When we’re in the dark we stop, we can’t see where we are going. Darkness is more than just the absence of light. It’s when we can’t see a way through a problem, when we aren’t aware of what we should do, when we don’t know what’s going on. It’s when we don’t learn new ways of living. Paul said he had learned how to be happy under any circumstance. It’s something he didn’t have before, but he made himself change. This way he didn’t just have the information, but had the character to be able to be joyful no matter what he was facing. Dread is another form of darkness. It’s no accident that our church here is on Dreadnought Road. This is a fear not church. A lot of us avoid things in our lives because we dread what will happen if we see that person, or meet that circumstance. Dread is when you’re not looking forward to your future. This Scripture is telling us that Christ has risen for you who are in this circumstance. Now it is simply a matter of whether you will look to him or keep looking at the circumstances you dread so much. All of us need some guidance to know how we get into our future. A great light rising is not just about guidance. It’s also about a vision, something that is in your heart. It’s something that makes your heart beat faster. Something you’re excited about. It’s something worth living for. It’s something worth dying for. It’s something worth making Sacrifices for because it’s a cause, it’s a vision that has captured you. This is what hope is. It’s seeing a future that excites you. A vision is not just a goal. A vision is an excitement about doing something great for people, for God! I’m praying that today this Christmas, NOW, that the God of Hope will fill you with joy and peace in believing, so that you abound in hope. Hope is a positive emotional and mental attitude about your past present and future. How do I get that mindset? You thank God for your past, no matter how bad it has been. Rewrite your history. Instead of blaming people and being a victim, thank God for everything that has happened in your past. Thank God for everything in your present. Thank God for everything that is about to happen to you in your future. Be positive about your life, not negative, cynical, fearful. The church should be the most positive moment in anyone’s life every week. People are generally negative by default. The world lies in darkness, negativity, complaining, despair, fear, anxiety. We are meant to be offering people a pathway out of the dark into the light. When people see hope, they receive energy, vision, faith. Everything starts to work better for them. Let me say it again, Hope is a person and that Person is Jesus. Colossians 1:27 …Christ in you, the hope of glory. the hope of a future when you have no hope! Christ is the Hope of the World. Christ is the hope of you and I personally. Merry Christmas, Church. 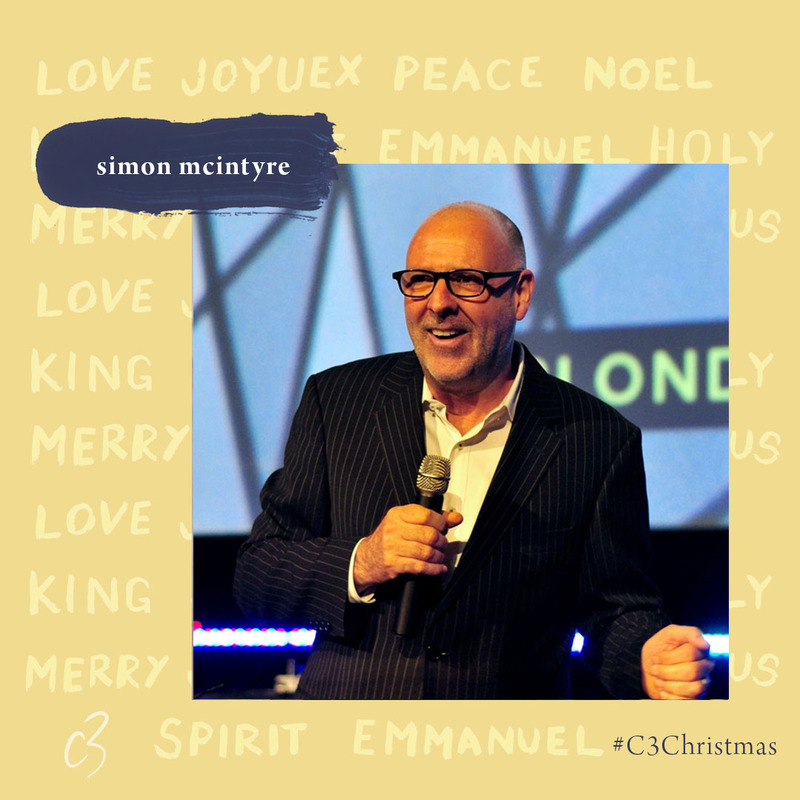 We are believing with you that this Christmas will be full of hope and joy as we celebrate the birth of our Saviour. To find a C3 Location near you this Christmas, check out our Locations section at c3churchglobal.com. A few weeks ago I went looking for Christmas Cards that have some connection with the Christmas story. My search was a little like that of the wise men, in that it took quite a search to find them. Increasingly the cards seem to have as little to do with Bethlehem as it did with Rome. I saw cards with cute animals, cards with 1920’s dance figures (true), cards with Christmas trees and snow (Christmas is a Northern hemisphere thing) but strangely, hardly any with Jesus and the holy family, or the angels, the shepherds or the Wise men. Actually, someone is missing – the Jesus of Christmas. He appears to have been submerged in a flood of sentimental and cynical commercialism – secularism at its best (or worst). Who then is the Jesus of Christmas? What does the image of a baby and mother engender? What do angels have to do to with maternity? And, why the fuss? 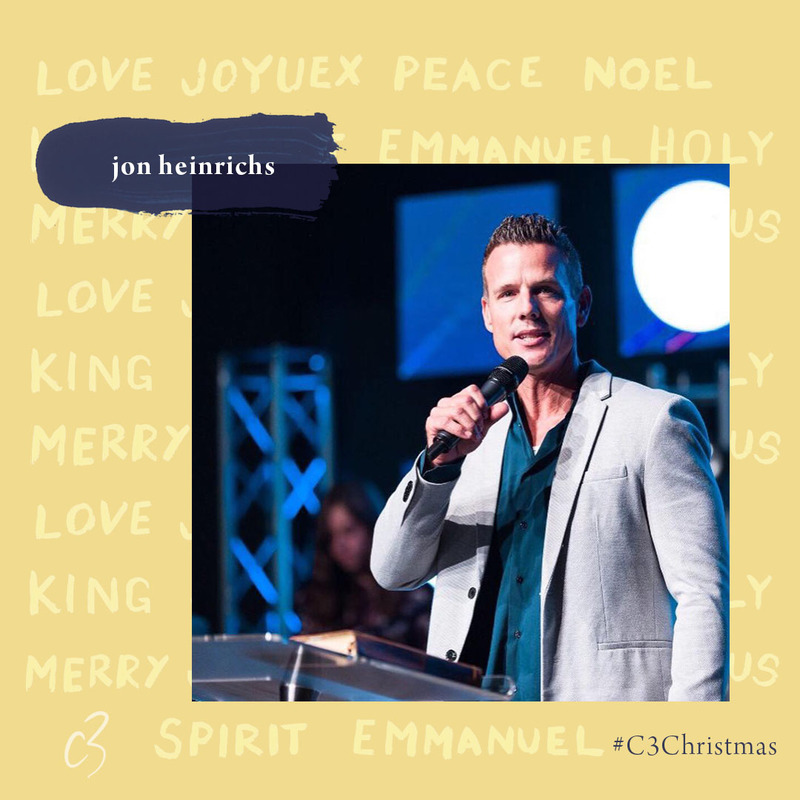 The Jesus of Christmas is a remarkable, wholly unprepared for, story of vulnerability, incarnational wonder, and power on God’s terms – not ours. A mother and child is one of the most precious, the most poignant of images. It is a picture of complete adoration and total dependence. A child is helpless without its mother. God became dependant on a young mother, utterly dependant. This is the remarkable vulnerability, and the total identification of God with man. Immanuel isn’t just a nice name – it describes a ‘peel your eyelids back’ shock, an arresting and mind numbing moment in history. God with man – God become man. Who’d have thought it? What love, what grace, what wonder, brought this about? The angels and heavenly host sang hallelujah at the sight. The night skies shone bright with their delight and holy response. That night the world slept on but not the heavens. And yet Gods holy creatures themselves barely understood what they marvelled at. It was, and still is, a mystery of unfathomable depths – the laying aside of the prerogative of Godhood and living as a man, suffering and eventually dying as a man, the holy seed buried in the earth. Wow!! The pinnacle of human endeavour and accolade is power. But what kind of power does a baby possess? Christmas is an inversion of power in that it is a display of divine love. God’s love outlasts, out trumps, out scores man’s power. It neither forces nor manipulates. It doesn’t yell, or posture. It is seen, as weakness to man, but it is true strength – real power. This isn’t the one of the old gods of myth, who were no more than man’s best and worst attempts at power and divinity. This is the Jesus of Christmas, and we like the wise men, are wise ourselves if we seek him, and place the gift of our lives at his feet. A star beckons. There is nothing like the Christmas season. Getting together with family, great food, great friends, parties, exchanging of gifts, decorations etc. One of my favorite things about Christmas is listening to carols. Walking around the malls hearing carols that are literally worshiping Jesus. People saved and unsaved lifting up the name of Jesus whether they know it or not, creating an atmosphere unlike any other time of year. 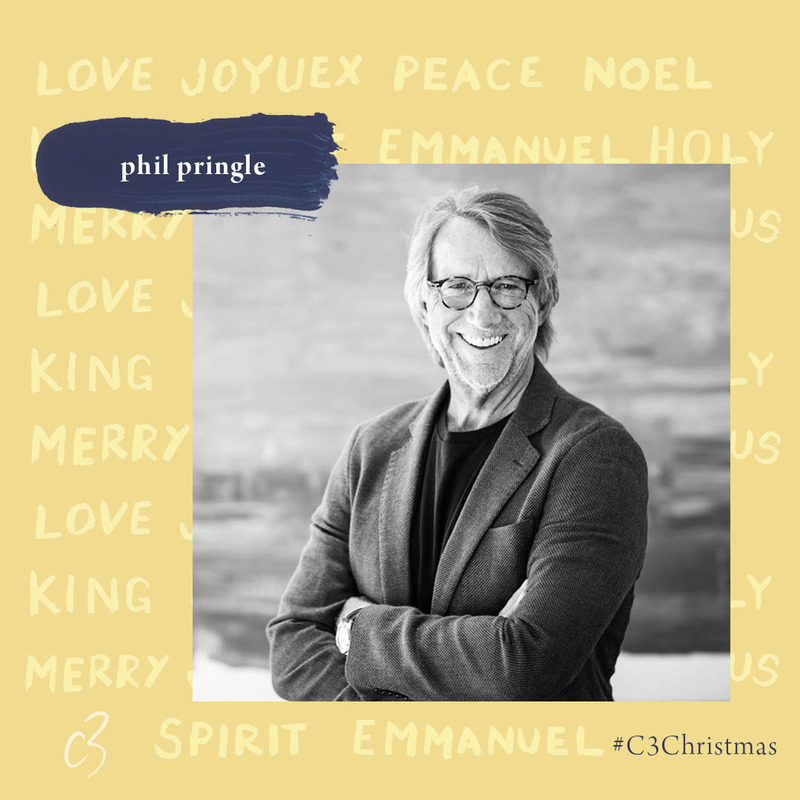 The bible says, “as we draw near to Him, He will draw near to us.” Through the carols around Christmas the whole world is drawing near to Him which is so powerful. The other thing we can’t help to do is think about the birth our Messiah. The time when Heaven invaded earth in the form of a man named Jesus. The One that was prophesied for thousands of years would finally enter time as a baby boy born in a manger. Jesus has many characteristics that make Him who He is. Christmas is a perfect opportunity every year to reflect on those identities. One of them is He is an amazing Shepherd. Jesus didn’t just come to Rule and Lord over us, He came to shepherd us. Shepherds care for their sheep, they watch over them, they guard them and they guide them. And ultimately shepherds are willing to give their lives for their sheep. I’m so grateful Jesus cares for me and is watching and guiding me throughout my life. So many times I’ve been off track in my life only to find Jesus coming after me to help me get back on track. He will leave the 99 to make sure the 1 is taken care of. He’s not afraid of our mess. Sheep can be messy but that doesn’t scare Him off. He is always close and willing to help or even correct if need be just like a great shepherd does. Jesus expects us to take after Him and continue to care for His people. We are why He died on a cross, and everyone is important to Him. Let’s give thanks this Christmas season for the great Shepherd that He is to us, and let’s be that person for someone else. This verse of Scripture from Matthew 2 in countless ways encapsulates my friendship with Jesus. Perhaps this reveals the curious nature of my heart as I pursue to know Jesus the eternal Deity, who humbled himself to be likened to me by his humanity. Many of my daily chats with him originate from the questions of my heart that are formulated in my quest to uncover and discover the unending wonder of who Jesus is. Just like this chapter and verse of Matthew, my questions lead me on a journey of discovery. My discovery always ends with me worshipping Jesus as I revel in awe of the newly found wonder of my Jesus and his relentless love for me. This pursuit of Jesus is like an elevator with no bottom floor, for the depths of Jesus are never-ending, as his name Alpha and Omega so perfectly describe. Jesus is the beginning and the end of all things. Just as the questions of my heart have captivated my attention and propelled me into a journey of unending discovery, so too have the searching questions of the unbeliever captivated their disbelief, and propelled them into a friendship with Jesus. As a Pastor part of my attention is focused on reaching out to the questioning unbelievers in my community. I have found that many are looking for a Jesus they have heard of, or about somewhere along the line. Often the question of their heart too is, ‘Where is Jesus?’. Our churches in this modern world are definitely seen like the star the Magi followed to Jesus. They are intended to be seen as a place full of a people who lead the questioning unbeliever into a personal connection with Jesus the eternal Deity, whose love is relentlessly pursuing them! As our communities’ attention is captivated with this festive season, for many it brings up unanswered lingering questions about, ‘Where is Jesus?’ It is my absolute hunger that we, as the Bride of Christ, meeting in Churches, around dinner tables, at the beach with family or drinking coffee in cafes, share the unending wonder of Jesus’s relentless love. Sarah Percy along with her husband, Mark Percy are the Senior Pastors of C3 Church Taupo. After attending Bible College at Oxford falls in Sydney in 2009 with their then three kids they felt the call home to Aotearoa to plant and grow a C3 Church. Sarah is now mother to a small tribe of children currently numbering at five, Pastor to a growing church, a great communicator and is found in the heart of anything creative, purposeful and inventive. At this time of year the meaning of Christmas and Christianity can be easily missed! With so much happening and the strongest associations of Christmas being gift shopping and a guy in a weird red outfit who spends the year no doubt eating his feelings; it can be easy to find ourselves off-course when it comes to the true meaning of it all! The wise men, the shepherds and even Herod, for the wrong reasons, were all preoccupied with locating Jesus and I believe this is the greatest priority we could ever have at this time but at any and every time of the year. What I’ve discovered to be a great key to living and discovering our lives in Christ is that output improvement or behaviour modification are never the point nor the goal. The bible never prescribes dysfunction as a source of disqualification when it comes to our walk with God. To say the characters of the bible were without dysfunction is a misguided view of who made it into the GREAT BOOK! Just to mention a few; Peter – denied Christ 3 times as prophesied by Jesus himself; King David – had an affair and murdered an innocent man in the process; Jacob – deceived Isaac into giving him Esau’s blessing and had an extremely dysfunctional marital and family life! SO… dysfunction does not disqualify; this is not to justify a stagnant Christianity where there is never any lifestyle change or progress but more so to point out that connection is the pertinent aspect of the Christian life! Forgiveness and healing is found through repentance and confession which are adopted by the humble heart. A heart submitted to Christ who puts Him and His will as first priority. The greatest danger more so than to be dysfunctional is to be living for God with no connection to Him! My greatest fear is to be living in the name of Jesus and even working the miracles and power that flows from Christ but living a life without a personal connection or submission to Him! Connection to Him and a life walked in communion with the Holy Spirit is the focal point of the Christian life! The DOING part of CHRISTIANITY is designed to be the OUTPUT of a life that has discovered the vitality and empowerment of living every day with INPUT from the source and creator of Life itself – JESUS. 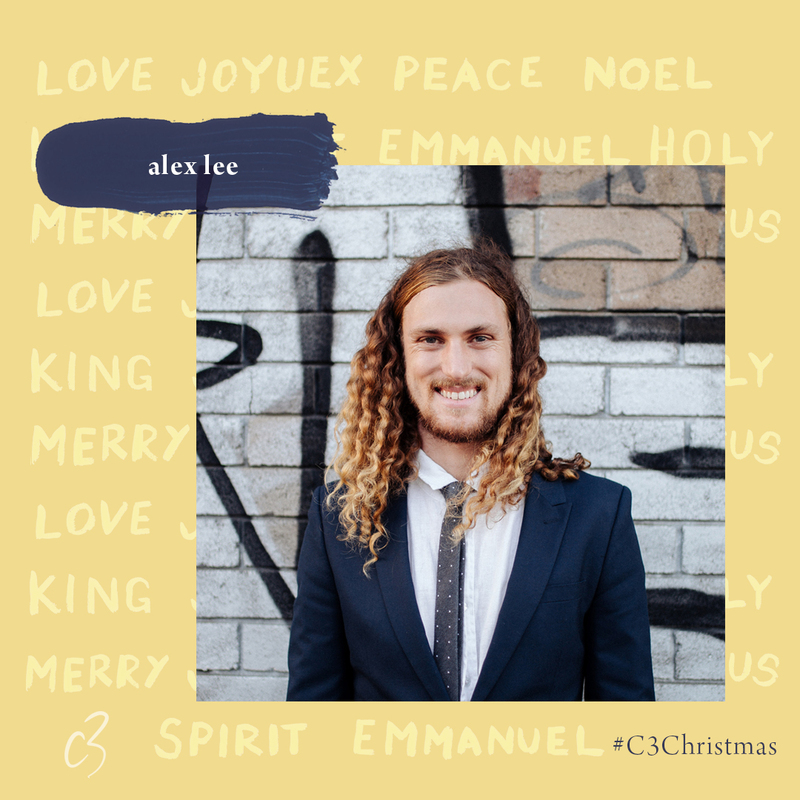 Ps Alex Lee is a passionate and confident communicator who is dedicated to seeing young people following Christ. Alex, along with his wife Jessen, are the Youth and Young Adult Pastors at C3 Sydney. Alex brings an insightful message, which is fun, quirky and engaging for all people of all ages. Alex reveals his heart for God in every message with passion and charisma. You are sure to be challenged by his uncompromising faith and solid teachings. There nothing better than relaxing. Winding down by a pool, swimming in the ocean, sitting by a fire, playing a game of golf (scratch that, golf can lead you to dark places). The point is we all long for rest. Rest is like a metaphorical finish line we all yearn to cross. But like the end of a rainbow it can be rather elusive, just when you think you have arrived at rest, it seems to disappear again. You can imagine the wise men in the Christmas story, in all their wisdom and riches they still hadn’t arrived at rest, they were still searching for something more, who knows how long they searched and pursued, until one day a star appeared. The star itself wasn’t rest, so maybe they thought it would lead them to a place of rest, a paradise, an oasis, a pool of tranquility, but when they reached the place they discovered that it was neither the star nor a location, the rest they wanted was found in a person. Hence the reason why they didn’t worship the star or the place, but the person of Jesus. JESUS IS THE PERSON AND THE PROMISE OF REST. The question we to need ask ourselves is, What have I been putting my hope in for ‘rest’ outside of Jesus? I personally would have to say a lot of things. I love my day off, I love relaxing on the beach, I love my cold brew coffee moments of solitude, does that mean I a bad person. NO. But Christmas reminds us that yes we should enjoy our times and places of rest, but we need to ultimately allow our rest to be found in Jesus. A place or a moment of rest can come and go but Jesus is our ever-present source of rest. Remind your soul of His rest today and receive the rest that he so willing provides at all times. James and Alanna have pretty much grown up in C3 Church at Oxford Falls. James took over the High School’s ministry when he was 17 and then came on staff full time at age 21. At 24, James and Alanna became the Youth Pastors at Oxford Falls for eight years before moving to C3 San Diego, where they served as Associate Pastors under Ps Jurgen and Leanne Matthesius for three years. 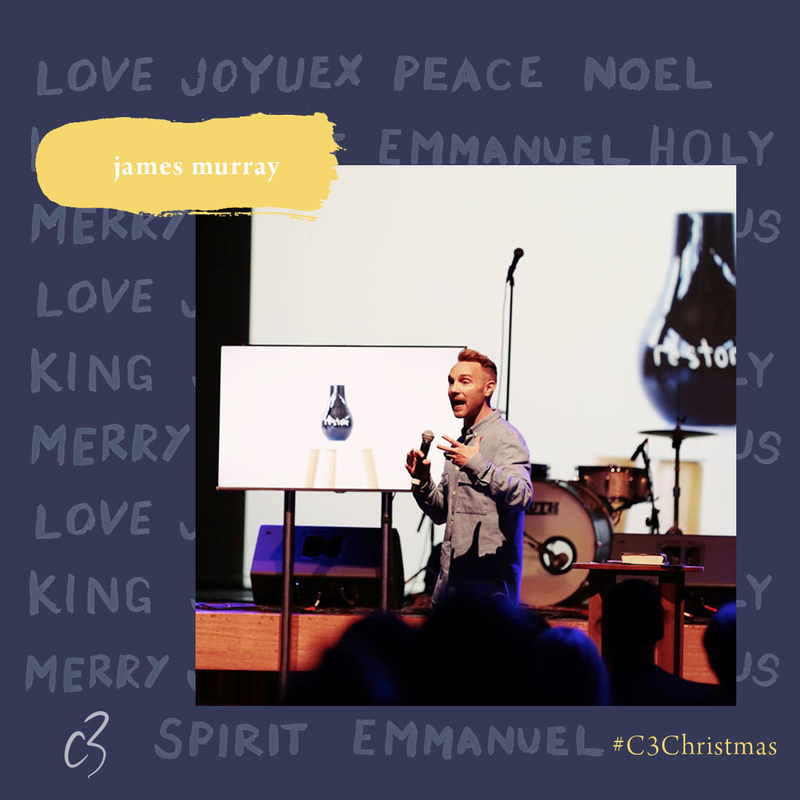 In August 2013 they came home to start C3 Cronulla with a desire to build a Church that is, at its core, strictly inclusive. They feel a strong affinity for Cronulla and the Sutherland Shire region, and are incredibly excited to see what God will do. James and Alanna live in Cronulla with their three children (or ‘cubs’, as they are referred to). Many of us think too lowly of ourselves- we believe the lies that prowl around. The saviour for all time was to come out from a place of lacking- how wonderful! But it took the sound of the voice of the prophet to release the will of the Father and herald the infinite amount of possibility accessible to us all. He spoke life. The worst sound found on earth is the sound of murmured whining and gossip, there is no life on these things. The most beautiful of sounds is the sound of praise- when you mean what you say and exalt Jesus, your praise becomes untouchable. Let me tell you about a friend of mine. She is looking down the barrel of a double mastectomy and she is the same age as I am. Her grandmother, Aunty and mother all, lost the ravenous battle of breast cancer before her. We sipped our tea, and she told me that she has decided to say good things over herself and prophesy life ‘ when I am without, I am going to say that I am satisfied and have enough, and when I am unsure I am going to say that good is coming my way.’ My beautiful friend knows that her words build worlds. She understands that she can prophesy to her world without yet knowing the King of prophecy Himself. I don’t want to just experience moments. I want to create. To bring forth and produce something so others have experiences. I don’t want to exist in rooms, but make rooms for others. I do all this for love. For me it is always always about love. In a rapidly changing world we must let our sound waves carry life and love. Try it out this festive season and watch what happens! I really think you’ll be amazed at the power. Erika Croxford; Pastor, leader and creator. A mum of two energetic boys and wife to Ryan Croxford, Erika is passionate about the balance of modern ministry, family life and creating beauty and wonder. 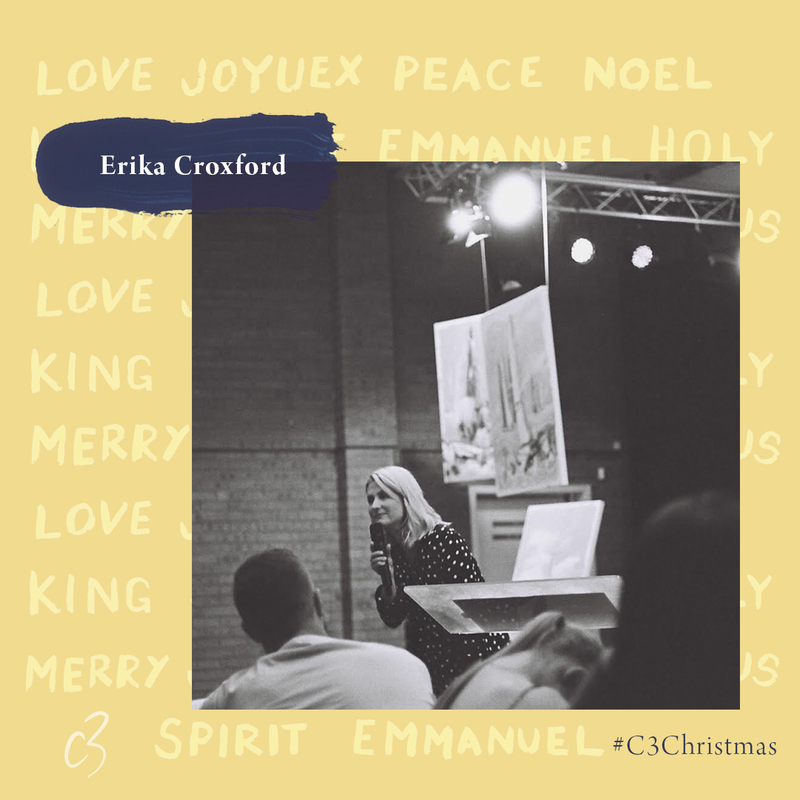 Erika ministers and writes with an authentic, beautiful and passionate approach, drawing from her lifetime of experiences including the previous 7 years serving as the Senior Pastor of C3 Church Newcastle City along with her husband Ryan. Erika‘s heart for His Kingdom is truly remarkable, as she ministers, her heart for His Church, family and creativity reflects her true relationship with God. On Christmas Eve 1974, a natural disaster known as Tropical Cyclone Tracy devastated the city of Darwin, Northern Territory, Australia. Over 80% of homes were destroyed and 30,000 of the 47,000 population were evacuated, many never to return due to the fear and terror they experienced. Around Christmas time two thousand years earlier, King Herod and all of Jerusalem were equally terrified, a natural phenomenon in the night sky witnessed by wise men from the East heralded the fact that a new king was born. For a paranoid king, news of a rival’s birth is never going to go down well – yet such was the state of the people of Jerusalem that this wasn’t welcome news to them either. Surely with their prophetic narrative they were eagerly anticipating such a birth? Alarmingly, even their scribes and Chief Priests could quickly quote the relevant scriptures pertaining to the birth of the Messiah and then point the wise men in the direction of Bethlehem – all this without even a thought of going along and worshiping their new king themselves! This utter rejection of Jesus as King from the beginning certainly sets the tone for the future. In many ways it was this one word: “King” that caused the problem. The announcement of Jesus as King still has the same effect today. He makes a claim on the hearts of all people. Some respond in reverent worship, falling on their knees bowed down before Him, while others are terrified at the thought of losing power, pride and control. The announcement of Jesus as Saviour has always been much more popular than the announcement of Jesus as King. Yet if He is to be your Saviour He must also be your King. Jesus never denied being a king, whether to the crowds on Palm Sunday or before Pilate at His crucifixion – His crime for which he was executed was signposted above His head on the cross: “King of the Jews”. He talked a lot about His “Kingdom”. He asked people to leave behind families and businesses for the sake of His kingdom. He even told his closest followers to go into the whole world and teach people to obey everything He had commanded them. Obey His commands – who does He think He is? A King?! A King is to be obeyed, He is to be loyally followed, He is to be worshipped. The King is at the centre of the Kingdom. Everything in the Kingdom exists through Him and from Him. In everything the King will have supremacy. Jesus Christ is the glorious King of heaven and earth. His name is the name that is above all names and at the mention of His name every knee will bow and every tongue confess that He is Lord. He is the King of kings, the Lord of lords and He shall reign forever and ever. Wise men will seek Him, find Him, bow in worship and obey Him. Will you? 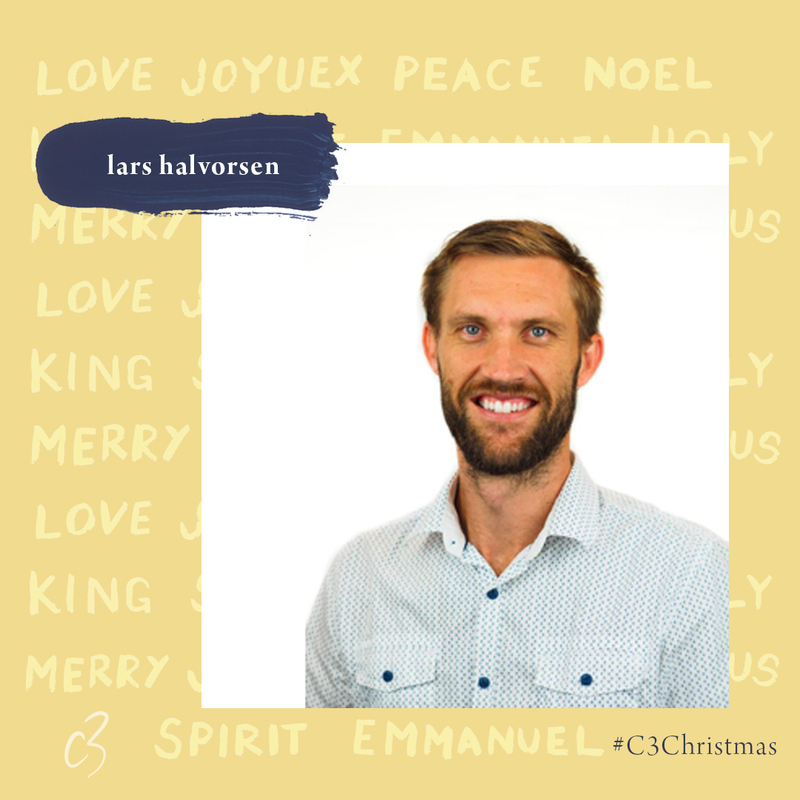 Lars is the Senior Minister of C3 Church Darwin in the Northern Territory, Australia along with his wife Megan. They moved to Darwin from Sydney in 2012. They have 3 young daughters Elisha (7), Abbie (5) and Eva (1). We all have questions. I get asked every year “What do you want for Christmas”, then a list gets compiled and is sent out to the family. Kelly and the kids were getting increasingly frustrated with me this year. Here’s the reason. I couldn’t think of anything I really needed for my Christmas list. How pathetic is this for a reply “Well, I am short on Vitamin C and I need some dental work !”. Good grief! My wife rolled her eyes and sighed. Truth was, as I strained, I couldn’t honestly think of anything that I could say I really needed. Here’s why: as I get older my Christmas list has gotten smaller because I have learned that the things you really want cannot be bought. Which in my case, is the difference between riches and wealth. Wealth may best be defined as the things that money can’t buy. What a curious mix of titles for the child to be both “Ruler” and “Shepherd”. The Title “ruler” takes no explanation but a “shepherd” may. Shepherd’s basically Feed & Lead the wandering little woolies ! A favourite title and promise for me is Ps.23:1 that declared when the Lord is our shepherd he removes all lack. In other words when we are led and fed (follow and feed) we will be totally and completely satisfied, every and all wants to be fulfilled. That Jesus was leading and influencing so many at his birth is quite astounding! Perhaps as perplexing a question raised for me would be “Why didn’t the priests and teachers take the 5-mile trip?” They knew the promise from the prophecy of Micah 5:2 but didn’t take the trip. This passage causes a certain sadness for me that the religious elite would not search, only study. I never want to stop searching! Every search leads to the true king. Every study leads to the true king but takes my steps to get there. I love how creation cooperated. But we notice that the star only got them so far. Signs usually do. It is likely that we need the scriptures to get seekers to Jesus, signs only got them to Jerusalem. It took the scriptures to get them to Jesus. Along with my wife Kelly & 3 (Chad, Amy & Brittany) kids we planted a church in amazing Alberta city of Calgary in 1995. We have since planted a few more across Canada. We have3 ½ grandkids. Our youngest daughter Brittany has just planted a campus in downtown Calgary. She is a grad from C3 College where she met her Tasmanian Husband Steven Flight. Our church is located on the Trans-Canada Highway on way to Banff. Your always welcome to come visit us sometime . The wise men followed the star that led them to the shelter where Mary gave birth to Jesus. When they saw Him, they immediately worshipped Him and gave Him precious gifts. Jesus was only a baby. He hadn’t performed any miracle yet. He hadn’t preached any message yet. But the wise men recognized who He was and generosity was the only proper response. Many people see God as a taker. They will have nothing to do with God for they fear He will take their time, money, pleasure in life, etc. But God is not a taker, He is a giver. God so loved the world that he gave. 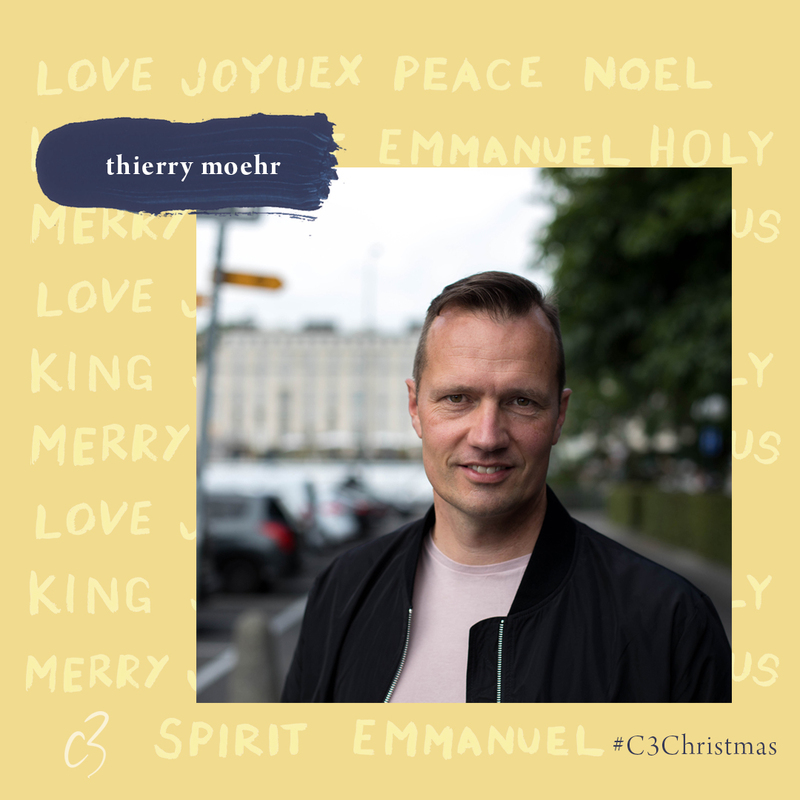 The story of Christmas talks about God’s love and His desire to give. Giving is something natural for God. He cannot help but give. On the contrary, human beings are takers. We have all arrived in this world with nothing. From the first minute of our life, we were dependant on the generosity of someone else. If my parents hadn’t given me what I needed, I wouldn’t have survived. To take is natural for us and so, giving is something we need to learn. Giving will always be a challenge as our resources are limited. It will always seem risky to give. If I give I will have less. If I give, I might lack. But actually Proverbs 11:24 says: “One person gives freely, yet gains even more; another withholds unduly but comes to poverty.” From a logical, mathematical, economical or human point of view, this passage doesn’t make sense. If I give away, I don’t have more, I have less. But in God’s economy, it is when I withhold that I have less. When I come close to Jesus, I start functioning in God’s dimension. As my heart is united with His, I start seeing generosity as something natural. I become a giver because His eternal life is mine, His unlimited resources are mine, His Kingdom values are mine. I leave the human limited dimension and enter His unlimited dimension. Let’s be generous as God has been and is generous towards us. During this Christmas season let’s give abundantly. Let’s love, smile, forgive, and offer presents. There is so much joy and freedom to give! Thierry grew up in Geneva Switzerland. His first professional training was in banking, as a good Swiss man ought to! He married Marianne at 21 and a couple years later they went together to Dallas, Texas, for their Bible school training. 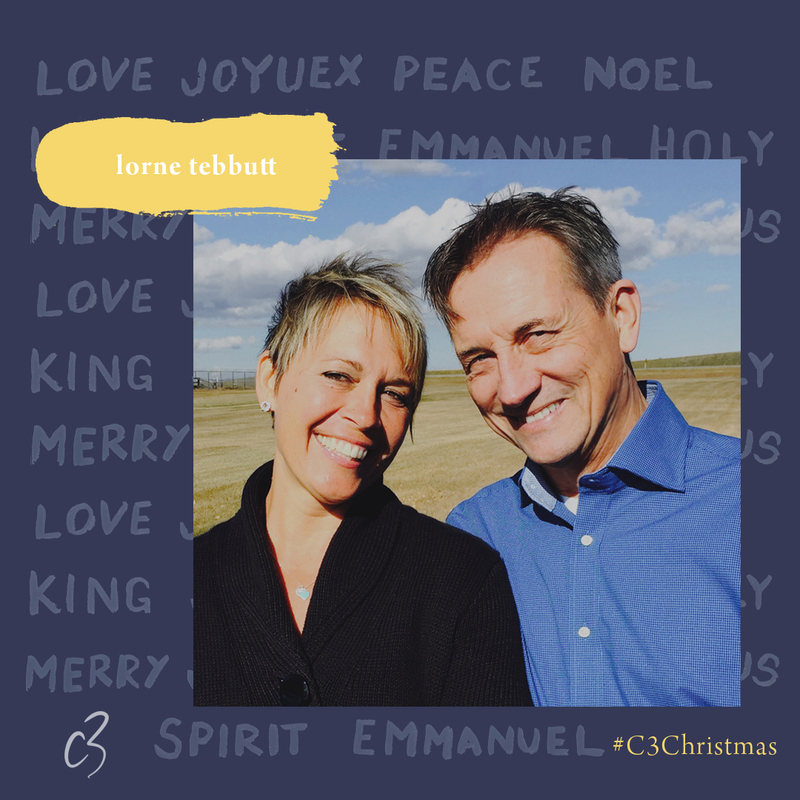 Thierry has been involved in pastoral ministry for 20 years and he has been leading C3 Lausanne with his wife for 11 years now. They believe that building the church is building people through love. Thierry and Marianne have three children, Pauline, Bruno and Anna.